The first quarter peal of Maximus for the Guild was rung on Wednesday 12th November at Liverpool Cathedral. The occasion was the 33rd Annual Cheshire and Merseyside NHS Carol Concert. The Guild has rung quarter peals for this event since 2013 and this year’s band included two nurses, two paramedics, two general practitioners, a paediatrician, an oncologist, a dentist, an anaesthetist, a surgeon, a pathologist and a patient. The method was Plain Bob Maximus and the quarter peal took one hour and twelve minutes to ring. Full details of the quarter peal are in the Peals and Quarter Peals section. Eight quarter peals were rung for the Guild to commemorate the 70th Anniversary of the founding of the NHS. Four were rung on Thursday 5th July 2018, the actual anniversary, another two were rung the next day and two more rung at the beginning of August. On 5 July 1948, the NHS was launched by the then Health Secretary, Aneurin Bevan, at Park Hospital in Manchester (known today as Trafford General Hospital). For the first time, hospitals, doctors, nurses, pharmacists, opticians and dentists were brought together under one umbrella to provide services for free at the point of delivery. The Guild is not quite seventy years old, but the first all Doctors peal, of 5040 Plain bob minor, was rung on the 9th July 1947 almost exactly one year before the start of the NHS. 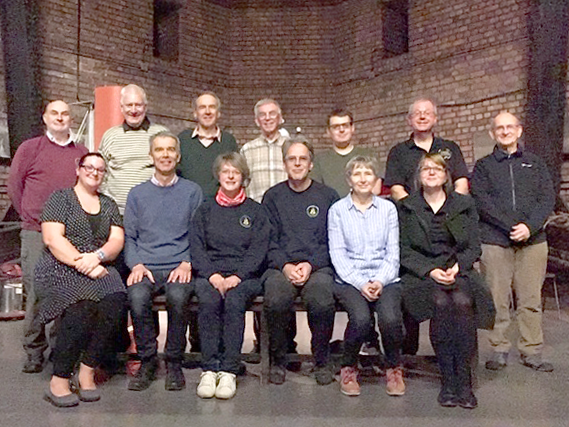 The quarter peals this year were rung in Somerset, Merseyside and Leicester, and involved twenty four members of the Guild. Details can be found in the Peals and Quarter Peals section of the website.